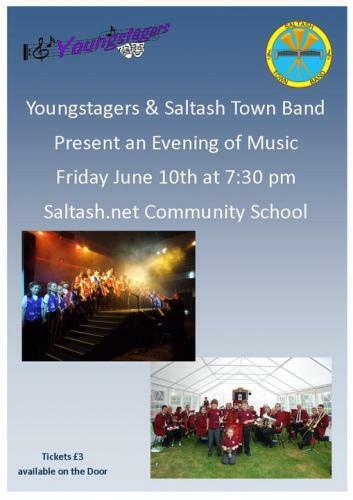 Saltash Town Band and Youngstagers are presenting an Evening of Entertainment on Friday, 10th June 2011 at 7.30 p.m. at Saltash.net Community School. Forget the TV record, you can record it anyway! Come and see some of Saltash's most talented musicians and young people in concert. Tickets available on the door at £3.00. Come and enjoy an evening with two of Saltash's longest running organisations. Your support will help us continue to provide enjoyment to our members and audiences alike. 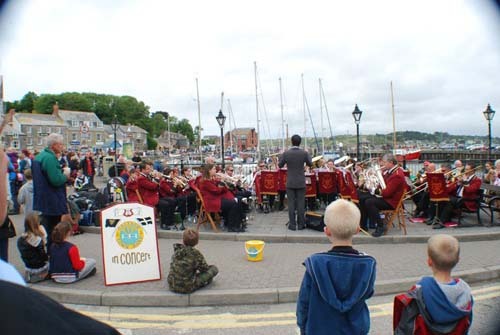 After a few years' break, the Band returned to play in Padstow. The weather held and the crowds were huge. The visitors were very generous in their donations, adding £301.85 to the Band's funds. One family put a note in with their donation to the Band which reads "Just to say thank you for your music. We have 3 sons - 2 who are Brass Banders!! (cornets!). Always look forward to Padstow Harbour - and the bands. Thank you! The Brookes family from Birmingham." Thank you for your lovely comments Sally. 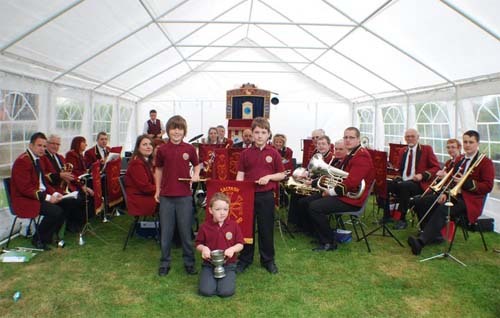 Many congratulations to Saltash Junior Band on the presentation of the Peter Stephens Award at the Saltash May Fair 2011. This award is presented to the musical group that has best entertained the Mayor over the last twelve months. 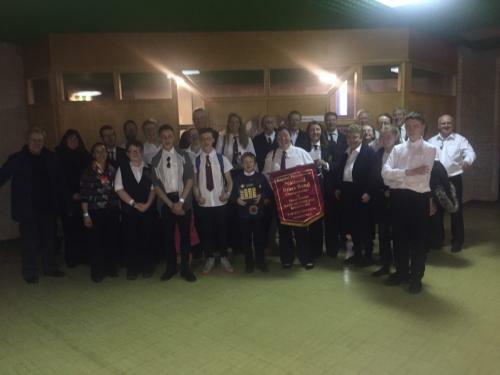 A great honour and exactly ten years on from when the Saltash Town Band were the first group to win the trophy.